The EL II System Meters are the newest addition to the EL Meters lineup. 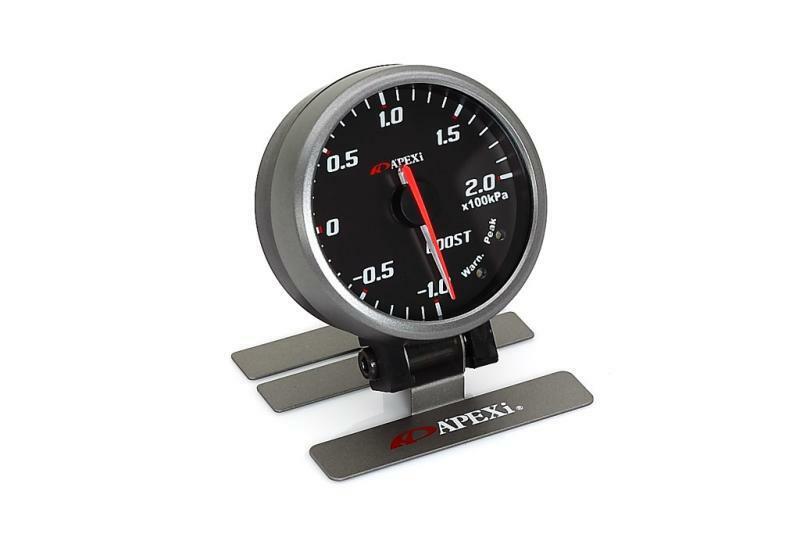 The 60mm System Meters utilize a main control unit which constantly monitors the movement of all of the gauges. The control unit can activate the memory replay, warning, and peak hold functions with just one touch. The synchronized memory playback function was designed exclusively so that drivers did not need to individually start each meter before a race. A high speed CPU processor ensures accurate monitoring every time. The main control unit can accommodate up to 6 meters. This gives the user unprecedented flexibility to decide what type of meter to add and how many. 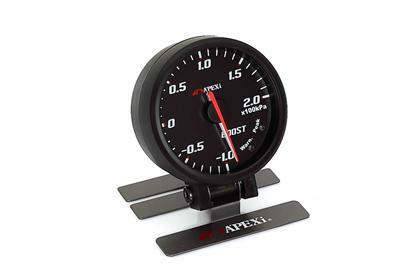 All meters come with a multi angle stand to allow easy reading from any vantage point. Since the main processor is not inside of the meter itself, A’PEXi engineers were able to slim down the meter casing so that it can be mounted virtually anywhere inside the cabin. The high speed control unit processor also eliminates excess wires between the meter and unit. The EL backlit face uses a fresh new design that is easy to read.